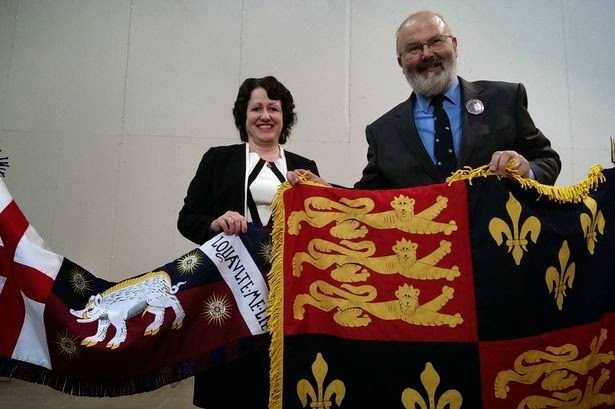 For those of you who haven't been following it all that closely, we are actually coming up very quickly on the reinterment of one of England's most vilified kings. Richard III, whose skeletal remains were discovered buried under a parking lot back in August 2012, will be reburied in Leicester Cathedral the last week of March, just four weeks from now. 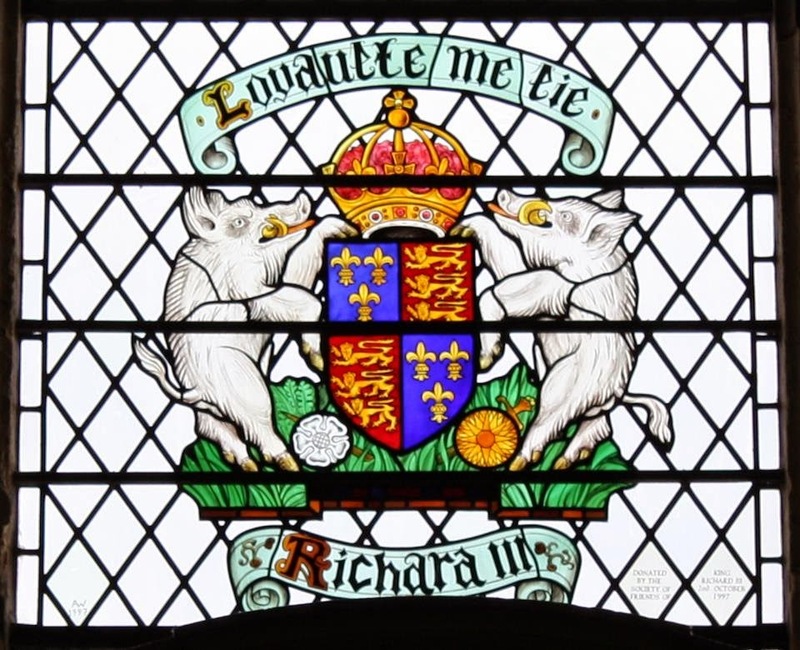 However you may feel about Richard, whether you think that Shakespeare captured his character correctly, or you believe that it was just a piece of over the top Tudor propaganda, the events of the last week of March of this year are going to be of historic - and heraldic - interest. 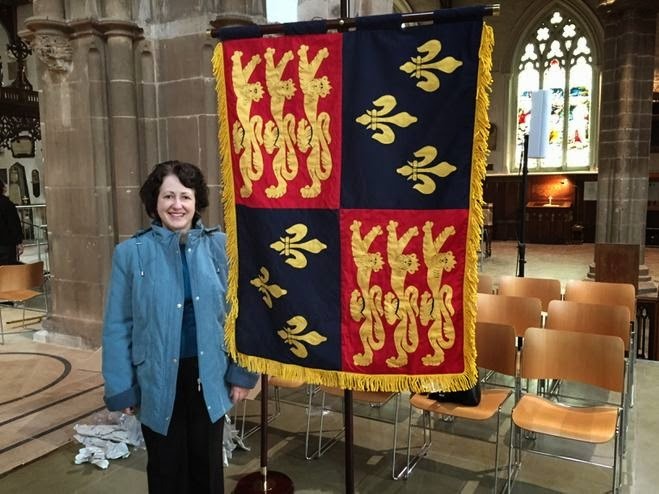 ... and here installed on its stand in Leicester Cathedral.